Say goodbye to training legs once a week. Build balance, size, and strength with this three-day lower-body assault! We're all acquainted with leg day—that infamous workout that beats us up and leaves us limping afterward. Every step taken and every stair climbed causes flashbacks of the lower-body workout that wrecked us for days to come. Talk about DOMS, am I right? But what if I told you that this all-out assault on your quads, hammies, and glutes wasn't necessarily the best way to develop killer wheels? Splitting leg day into three focused workouts is a better—and less painful—way to attack your lower body. While the traditional method of cramming every lower-body exercise into one day may burn your legs out and allow you to limp out of the gym beaming with pride, it's not the best use of your time. Once-a-week lower-body training programs often neglect key components in leg development—mainly the posterior chain. It's easy to become overly concerned with targeting mirror muscles and forget to turn around to see just how pathetic your body looks from the rear. Not only does this leave the glutes and hamstrings neglected, but training legs once a week also seriously limits the total volume of work you can complete. Increasing the total volume of work is key to maximizing gains and getting the results of your dreams. There's only so much you can do in one day, and doing more big lifts more often will yield far better results than tiring yourself out once a week and waiting a week to hit your wheels again. Don't believe me? Check out the legs on Olympic lifters who do some squatting variation almost every time they're in the weight room. Instead of one day a week, try a three-time-a-week lower-body protocol that addresses every area of development. The standard back squat, front squat, and hip thrust are three great movements to start with for complete development: The squat addresses general lower-body strength and size, the front squat stresses the anterior (front) leg structures, and hip thrusts stress the posterior chain. If throwing a heavy barbell across your crotch isn't your thing, you can lay a dumbbell across your legs—that's more comfortable for most people. 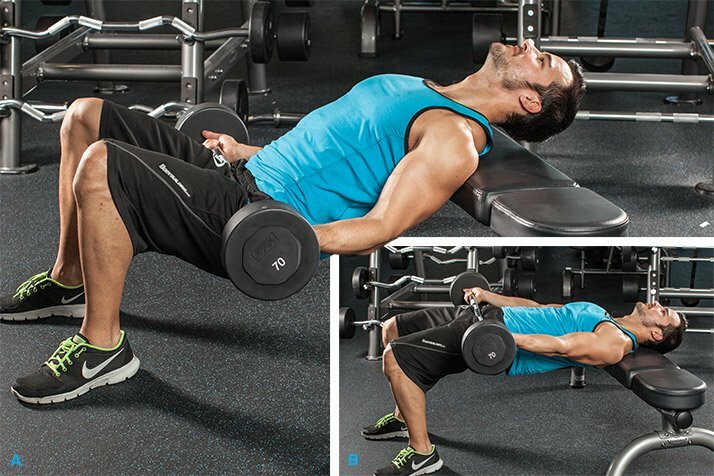 If that still doesn't work for you, dumbbell RDLs can be used as a substitute. Continue to follow this same pattern, with the last lift of each week becoming the first lift of the following week. The three movements can also be rotated within the same training week in an alternating power, strength, and hypertrophy scheme. 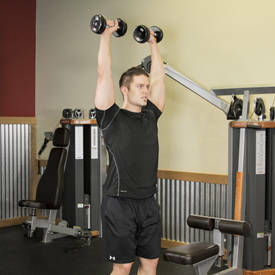 Perform 6 sets of 3 reps using around 60 percent of your one-rep max (1RM). Don't get wrapped up in the numbers though. If you don't know your max for the designated lift, estimate the weight. Always go lower if you're unsure, to err on the side of caution. The focus is on moving the weight as fast as possible, which will enhance your ability to create a great deal of force over a short period of time. For this reason, be sure to use moderately lighter weight. 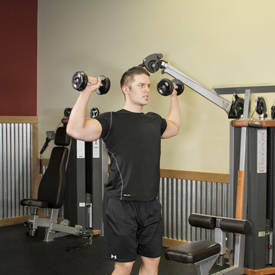 The repetitions per set are also kept low, since your body cannot keep repeating such a fast, powerful contraction for long periods of time without rest. 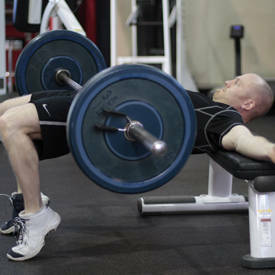 Modified rest-pause sets can do wonders for strength development. Warm up and work up to a heavy single that's challenging but not an all-out max. 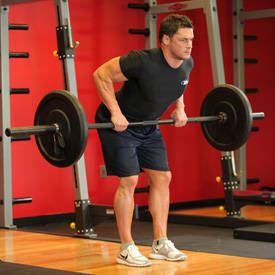 Start with 85-90 percent of your 1RM if you know what it is. If you don't know your max, no worries—you'll have a much better idea of how much weight to use next week when you do the same lift. 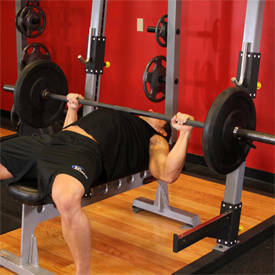 Perform 2-3 sets of as many reps as possible (AMRAP) with only 20-40 seconds of rest in between each set. Understand that you're using very heavy weight, so if you only get 1-2 reps on your second and third set, that's completely normal. 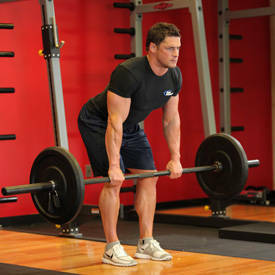 After this, do some back-off sets for some more strength emphasis. Take 85 percent of what you used for the rest-pause sets and perform sets of 2 reps with 45-60 seconds rest between each set. You can perform 4-6 sets depending on how ambitious you feel that day. Here you'll do an old favorite of 5 sets of 5 reps, which is a great set/rep scheme to build a base of dense, working muscle. There are no rules, aside from keeping rest periods as short as possible—aim for 45-60 seconds between each set to keep metabolic stress high. Metabolic stress is one of the factors that can promote an increase in muscle growth, and is the result of exercise that relies heavily on anaerobic energy production. Although 8-12 is considered the standard rep range for hypertrophy, the mechanisms that cause muscle growth are both mechanical and metabolic. Heavier loads and shorter rest periods will result in the accumulation of metabolites, particularly lactate and hydrogen ions, which can further stimulate your body's production of growth hormone and testosterone. Since you'll be able to lift more for 5 reps than for 12, you'll ultimately see more growth. But, why worry about covering aspects like power and strength if all you really care about are hypertrophy and aesthetics? Because properly managing your strength and power training improves motor-unit synchronization and recruitment. What this basically means is that this type of training recruits more of your muscle to contract more quickly and efficiently. With more of the muscle (motor units and muscle fibers included in them) working together in a concentrated, single effort, more stress can be put on the muscle. This will then lead to the size you want. 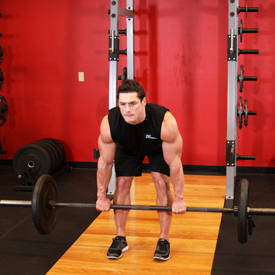 If you're looking to better attack cosmetic matters—define that glute-hamstring tie-in or building more of a quad sweep—assistance work in the form of single-joint concentration exercises can be added to the workout after the hypertrophy and strength days, but I would keep the power day simple. This is what an entire lower-body-crushing workout might look like, including the accessory work needed in a training split. With this framework, you'll be training legs three times per week. I suggest pressing two times a week and doing two other major assistance exercises twice a week. If you have a set body-part split and still want to try this method, I would suggest placing the priority on lower-body training. So even on a chest day, perform your leg exercises first, then do your chest workout as planned. To keep from overtraining during this time, cut the volume of your typical workout—in this case, chest—in half. Jesse is a former Division 1 strength and conditioning coach. He worked as the head strength coach of three teams that were conference champions!